We had a great day at the International show in Kristiansand today with some lovely results! Best dog was Ch Kangelani's Impressive Ino by Ascot and also BOB and got his 30th CACIB!! 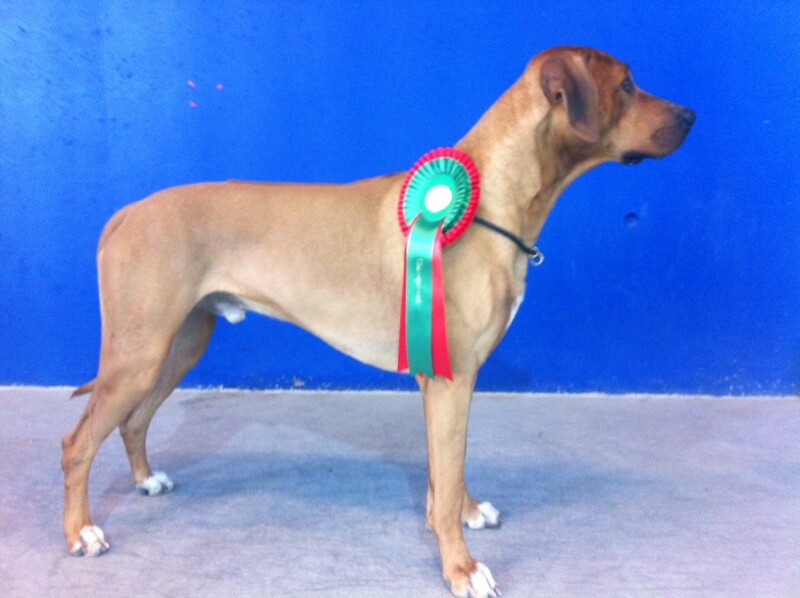 4th best dog was NW-12 Kangelani's Lord to Aminiafu gaining his last needed CAC to complete his champion title! This was the first show that Lord attended after his 2nd birthday(januari-13) so he mananged to get his title at the first attempt :o)! Big congratulations to owner Öyvind Johansen! A fun note is that both BOB and BOS shares the same mother, Ch Kangelani's Fiselo Felisia, from 2 diffrent combinations :o))! This is the Kennel's 26th champion!!! We are soo proud and happy :o))! 4th BB Afland's Bushira Iza CAC. Our girl Kangelani's MegaHit Mila also did great and won the intermediate class. We also won breeders class with Honours Prize. Big congratulations to all concerned!